MultiBrief: What are copay accumulator programs? 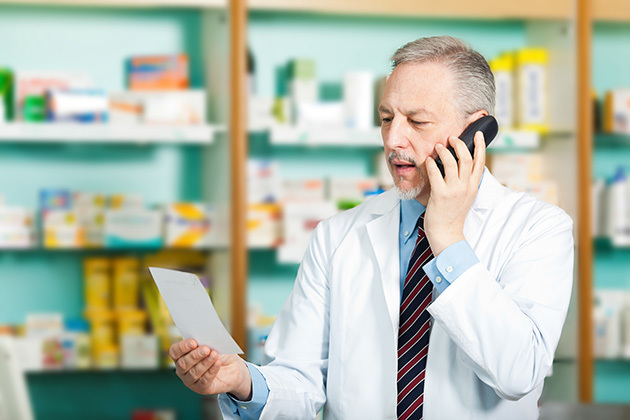 Retail pharmacists and specialty pharmacists working in the trenches may have heard whispers about something called "copay accumulator programs." But with long lines at the register, phones ringing off the hook, 65 medication therapy management (MTM) consultations to do, 30 more flu shots to give and a jammed printer…I can understand why you haven’t had time to read up on them. I’m a front-line pharmacist myself, and I understand your dilemma. Let me take a moment to explain this issue. By way of introduction, let me express that this really is a big issue in my opinion. It was a major topic of discussion at the recent Asembia conference held in Las Vegas earlier this month. Scott Dulitz of TrialCard, who attended the conference, posted on LinkedIn that "if this topic was hot last year, it was on fire by comparison at Asembia18." Copay accumulator strategies by pharmacy benefit managers (PBMs) and health plans may be impacting some of your patients already. At the heart of the copay accumulator program is the fact that pharma companies are actively involved, and have been for some time, in helping patients afford their medications when copays are beyond their financial reach. They do so through copay assistance programs and charitable foundations. Thus, when a patient is confronted with an expensive copay, many pharmacies (in particular, specialty pharmacies), look for financial assistance for these patients. This financial assistance covers the patient copay, often getting them through a high deductible or through the Medicare "donut hole," to the point where the health plan now is responsible for the majority of the cost. And that is where the problem, from the health insurer perspective, begins. A high deductible, copay or coverage gap period are, to put it bluntly, a mechanism to reduce utilization. These large out-of-pocket oceans are simply too big for many patients to cross. But manufacturer assistance programs act like a lifeboat, safely helping patients cross the depths of these high-deductible seas. The copay accumulator program, to continue the illustration, effectively shoots a hole in the bottom of the patient lifeboat. These plans are designed to identify when patients receive financial assistance and not count such assistance toward their deductible, out-of-pocket limits or coverage gap. The result? The benefit derived from these manufacturer programs, even if they amount to thousands of dollars, may be exhausted in several months and the patient is left facing the same high copay as before. The whole issue of copay accumulator programs exposes the underlying tension going on in healthcare between pharma, and the insurer and PBM industry. Payers point the finger at pharma for high drug prices. Pharmaceutical manufacturers point the finger at PBMs and high deductibles and copays which are not affordable without these coupon programs. Neither side seems willing to admit that they are ultimately more concerned with their bottom line than with the patients they serve. It’s pretty clear that while patients are not excited about the high cost of prescription drugs, they are equally unhappy with health plans stripping away their access through these copay accumulator plans. A patient quoted in a recent Los Angeles Times article on the subject said, "It seems unfair. It shouldn't matter to them who's paying my deductible, as long as it's being paid." As a pharmacist, I have to admit, I couldn’t agree more. While the ongoing battle over drug prices continue, I hate to see patients caught in the middle. One cannot feel too sorry for either pharma or the PBMs, both of whom appear to be profiting pretty well in our healthcare system. But patients who work, pay premiums and now are stuck with unaffordable deductibles and copays are the ones who lose. Personally, I’m not okay with that, and can only hope that employers will reject plans that offer such programs to them.